Many of the most difficult fields of study are those involving the complex and dynamic relationships between people. Throughout history there have been many schools of thought and methodologies established to better understand who we are and how that occurs due to numerous social relations over time and space. The discipline of social network analysis (SNA) has proven to be one of the most useful schools of thought in the study of social structures. The theories and methodologies within SNA have proven useful for political, economic, and cultural research, opening new areas of study through an array of innovative and adaptable techniques. More recently, SNA has proven extremely useful in the study of digital spaces such as social media networks, computer infrastructures, and massive collections of heterogeneous data sets. 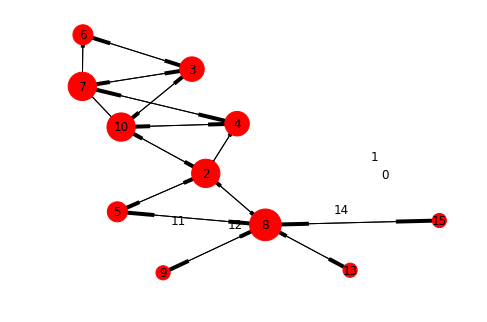 We are now going to perform some basic social network analysis using Python. There are two libraries we are going to be focusing on for this: NetworkX and nxviz. NetworkX is a Python library built to study networks. nxviz is a graph visualization library that builds from NetworkX. Together, these packages give us a great starting point for analysis of social networks. First, let's import our support libraries. I used Jupyter Lab for my analysis. Next, let's import our network data from a CSV file. We'll be analyzing a marriage network between 16 Florentine families during the Renaissance based on the work of Padgett and Ansell (1991). After loading the data into a dataframe and reviewing the descriptive statistics, we can now begin to graph the marriage network. 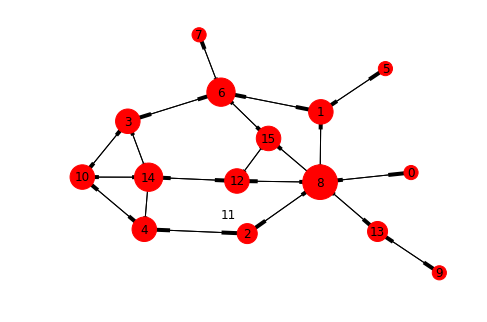 Once we have our directed graph object, we can now begin to add some depth to our nodes (e.g., our families). Let's first assign our nodes the family names and their degree centrality as data values. We can exam our nodes with data and our edges with the following commands. 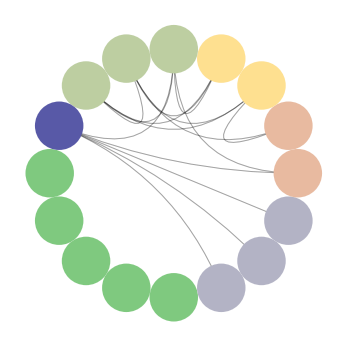 Once we're satisfied with the nodes and edges of our graph object, we can now create a graph visualization. We are going to use a force-directed gravity rendering for our graph with the nodes graduated by their degree within the network. We are beginning to see some nodes of interest in our family marriage network, but there are other ways of seeing this. 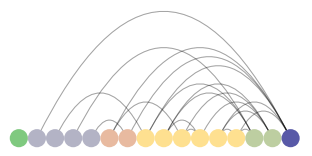 We can use our nxviz library CircosPlot to see these relations. Similarly, we can use the nxviz ArcPlot to the same effect. Number 8 in the directed graph and the purple nodes in the nxviz plots are the Medici family. They appear to be a family that marries into other families and a family into which others tend to marry. We should now compare this to these same families' business network to see if there is overlap with the marriage network. We will run the same processes as above. Here again, we see the Medici with a high degree of centrality (connected to many of the same families) suggesting that there may be a strong connection between marriage and business. This assumption is further reinforced in examination of clusters that reoccur outside of the Medici's immediate relations (e.g., nodes 10, 3, and 4). NetworkX allows us to dig further into these networks, such as examining clusters and subgroups. But this has illustrated a how SNA can provide insights for our study of people and their connections. For further reading, I highly recommend Analyzing Social Networks by Borgatti, Everett, and Johnson. Padgett & Ansell (1991). Marriage ties among Florentine families during the Renaissance. Borgatti, Everett, & Johnson (2018). Analyzing social networks. Sage.